Many people hear ‘psychic ability’ and automatically think of the supposed future-telling crystal balls and such portrayed by Hollywood and books. Such not so accurate depictions have served to close a lot of minds to the many types of very real intuitive skills that exist in the world. In fact, most everyone has some sort of psychic ability within themselves. Sometimes your ability is being used subconsciously or without recognition, but odds are you’ve done something simply because your gut or senses led you to it. These decisions, which are based on intuitive ability verses reasoning, are part of the big picture of psychic ability. Understanding what’s involved in the various types of intuition, or psychic abilities, can help you identify your particular skill(s) and use them more effectively by embracing and practicing your gifts. As you develop your skill, you’ll find life becomes much clearer, meaningful, and easier. There are six main types of psychic abilities. You may have one skill, multiple skills, or all of them. That said, most everyone will find that they have one to two primary psychic abilities where they demonstrate exceptional talent or potential. Which one of these best describes you? Clear smell. You’re a psychic smeller. Do you often smell things that aren’t there? Smells are messages for you. Perhaps you smell roses on your drive home and find a surprise arrangement waiting for you. Maybe, you randomly smell something, such as a perfume or baked treat, unique to a passed away loved one. Perhaps, you have lost touch or are missing someone in your life; when you think of them, do you smell anything – a hospital, beach, jet fuel? These smells from faraway environments can give you the clues, messages, and prompts to help you answer questions you may not even know you need to ask. Clear taste. You’re a psychic taster. Your ability is within your taste buds being used to receive messages. You may randomly taste things without eating anything, taste the air around you, or taste unrelated things from what you’re eating or drinking. Most of us rely upon sensory perception from touch, sight, and sound to make sense of what we sense. So, Clairalience and Clairgustance can be quite confusing if you have either as predominate skills. It may help you to keep a journal of all occurrences and the details surrounding them so that you can establish a pattern, develop a sense of association, and analyze what’s being conveyed to you through your skill. Clear hearing. You’re a psychic hearer, or channeler. 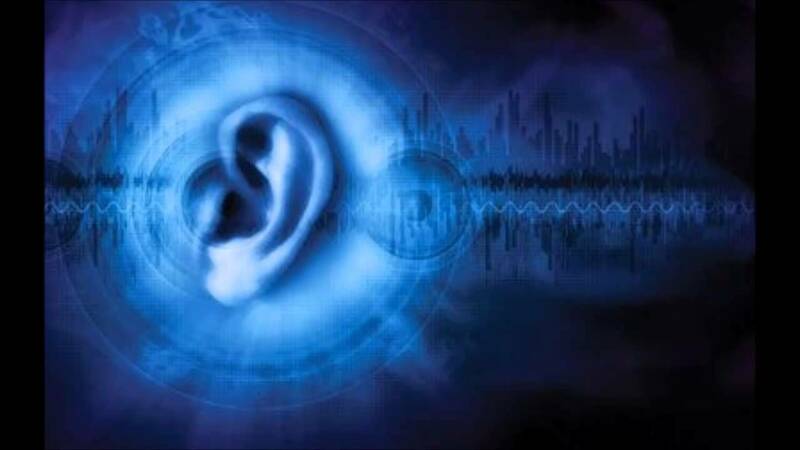 Hearing skills may be in physical form, where you actually hear messages with your human ears, or it can be in the form of spiritual hearing, where messages are received from within. Memories, words, and sounds can be replayed in your head. Since most messages are heard in your own voice, it can be quite difficult for novice clairaudiences to discern between their own thoughts and those being received. A good starting place is to look for random, off topic phrases that pop into your mind; unusual sentence lengths; unusual grammar; or anything that stands out as important for no apparent reason. Clear feeling. You have the gift of psychic feeling. Your emotions, energy, and other feelings are able to pick up on what your other senses aren’t keen enough to identify. A person may look just fine and be saying and doing all the right things, but your inner feelings are what will tell you that something is amiss. Likewise, your skill may attract you to acquaintances of great significance and importance who you’d otherwise overlook because they’re not appealing to you from the surface view. Your clear feeling will help you through both positive and negative choices, situations, and relationships if you allow for its guidance. Empaths are often part of the clairsentence group. By being so sensitive to other people’s energy as an empath, you must be careful that you’re not picking up on the emotions of others and confusing them as your own positive or negative feelings. Clear knowing. Psychic knowing is slightly akin to clairsentence, but it comes from a different place of reception. It’s a gut feeling of knowing from within that’s not accompanied by any foundation, direct knowledge, or energy from others. It’s a sense of unexplainable knowing by emotion or thought that doesn’t need analysis for meaning. Clear seeing. Clairvoyance is the most well-known psychic ability. A few are able to physically see spirit guides, ghosts, or archangels with their third eye, but most have memory-like visions that may appear as random snapshots, film clips, or entire storylines from a perspective that’s not their own. This is where the third eye term derived. Again, most all of us are born with at least one psychic ability. Natural ability, much like any other skill from cooking to singing, however, comes in various degrees. Some are born with strong, undeniable psychic skills that are impossible to repress. Meanwhile, others brush their underdeveloped intuitive skills aside as flukes and begin to ignore them all together. So, developing your psychic skills is all about identifying, expounding, and nurturing skills that already exist within you, not creating something out of thin air. Think back through life to determine how intuition has manifested itself for you – vision, thoughts, feelings, tastes, scents, or unexplained knowing. Ponder how your other accolades and skills have possibly unassumingly been led by psychic abilities. For example, did you become a counselor or therapist because you’re very sensitive to the emotions and energies of others? If so, look at clairsentence abilities. Does music and audio profoundly move you? If so, explore clairaudience.